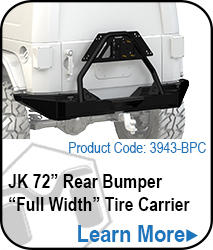 The MetalCloak Hi-Lift Mount for the MetalCloak Frame-Built Rear Tire Carrier easily adds a Hi-Lift mount to your Frame-Built Rear Bumper equipped with "Accessory Wings". 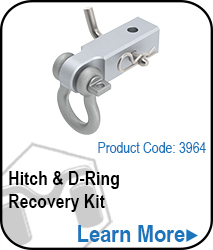 Kit includes everything you need to mount your Hi-Lift right away. 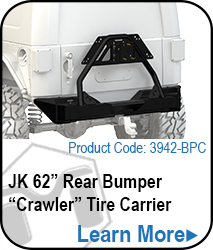 Note: The Hi-Lift Mount DOES NOT work in conjunction with the MetalCloak ExoGate Tire Carrier. 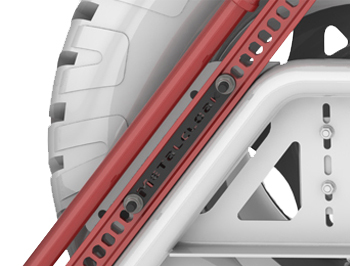 MetalCloak's Accessory Mount System provides multiple options for mounting of optional components to your Frame-Built Tire Carrier System. 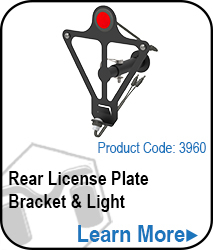 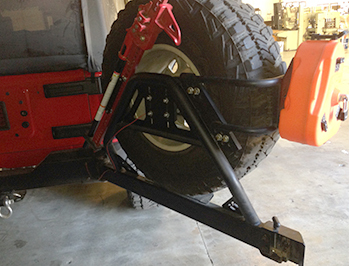 Easily mount Your Hi-Lift with two secure Grade-8 bolts and a Black Powdercoated bracket.